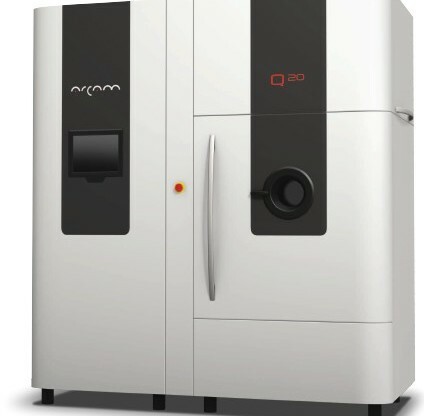 The Arcam Q20 is designed for cost-efficient manufacturing of a wide range of aerospace-related components such as turbine blades and structural airframe components. The build envelope is impressive, and allows for building large components and optimal stacking of smaller ones. technology platform, with the same EB gun for higher productivity and improved resolution, but with a larger build envelope (Ø350×380 mm). It also includes Arcam LayerQam™, Arcam’s camera-based monitoring system for inline part quality verification. The Arcam Q20 is also delivered with a powder recovery system (PRS) for closed powder handling.